When it comes to getting expert security planning advice and solution design assistance to secure your organization, there's a lot to consider. An in-depth Site Survey, whether for video surveillance, intrusion detection, or any other security system, is necessary in order to properly evaluate the solutions required to capture evidence of theft, prevent injury, and minimize risk. We created this ten page document which provides you with over 60 critical questions to ask and considerations to make before deciding on a video surveillance system purchase. This easy-to-use site survey tool will get you started down the path to an effective surveillance solution. 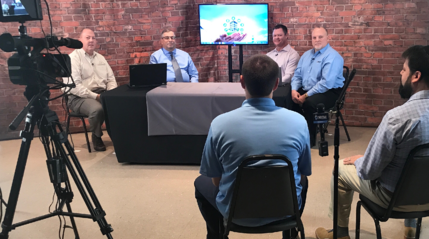 The Video Surveillance Site Survey will provide an opportunity for all stakeholders to set their expectations and will narrow down the best solution for your application. 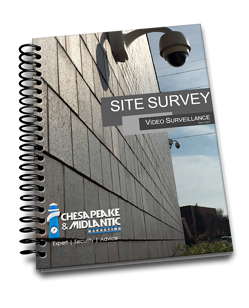 Plus, after you download the Video Surveillance Site Survey, we'll email you links to download additional Site Survey documents for other security systems. This is a perfect resource for security professionals of all types: system owners, security managers, system design professionals, and engineers alike. Hospitals, corporate campuses, critical infrastructure, industrial complexes, K-12 districts, higher education campuses, government, and commercial establishments all have a variety of unique applications. Be sure not to miss any details with the help of this guide and our local resources and support.